The Shingo Institute is the home of the famous “Shingo Prize”. It’s been almost 20 years since Businessweek Magazine named it “The Nobel Prize of Manufacturing” and since then it has grown to have attracted the worlds top organizations in finance, government & military, healthcare and many other industries. We have helped Banks, Labs, Transit Authorities, Special Ops units, Investments Funds and others as they move past a continuous improvement programs or tools to instead create a long term culture of excellence across an entire enterprise, not just operations. 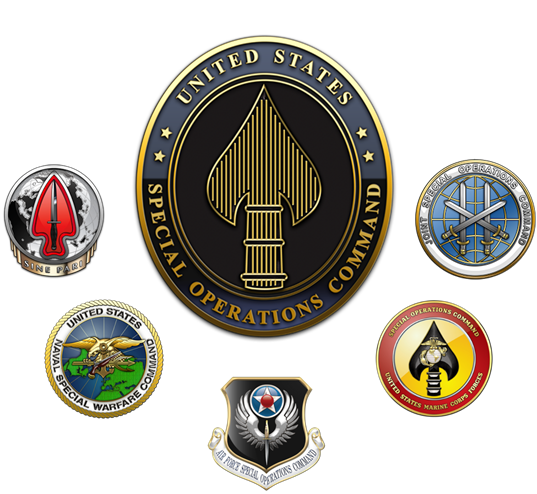 The US Special Operations Command synchronizes the planning of Special Operations and provides Special Operations Forces to support persistent, networked and distributed Global Combatant Command operations in order to protect and advance our Nation’s interests. What USSOCOM Does: Civil Affairs, Counterinsurgency, Counterterrorism, Countering Weapons of Mass Destruction, Direct Action, Foreign Humanitarian Assistance, Foreign Internal Defense, Hostage Rescue and Recovery, Military Information Support Operations, Security Force Assistance, Special Reconnaissance, Unconventional Warfare, Preparation of the Environment. The Laudato Si’ Startup Challenge, inspired by Pope Francis is a global initiative, an urgent call-to-action, that encourages early to mid-stage startups to grow their breakthrough solutions to the world’s boldest challenges.